It has been a while since I've done a gear review here, but I am excited to write this one. 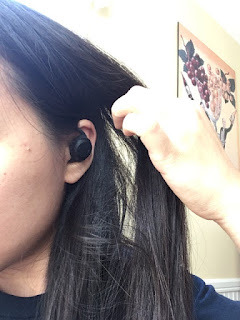 The reason for my excitement is that I have had terrible luck with wireless Bluetooth headphones, and the product I'm reviewing not only fits that bill... it does so much more! 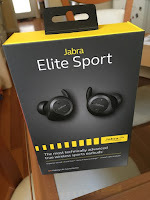 The Jabra Elite Sport headphones have good sound quality, stay in my ear well, and has a heart-rate monitoring function!! 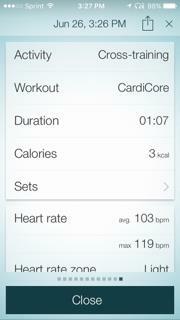 This means carrying one less device when working out. 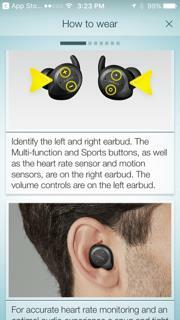 Jabra Elite Sport is the most technically advanced true wireless pair of sports earbuds available. The fully sweat proof and waterproof Elite Sport is the ultimate training aid that delivers freedom of movement on any terrain. 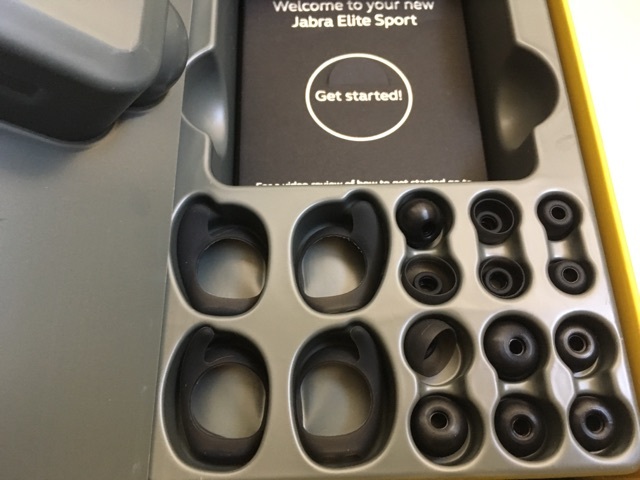 When paired with the Jabra Sport Life app, the earbuds deliver the most comprehensive range of audio training tools, including an in-ear heart rate monitor, in-ear intelligent coaching, VO2 Max fitness testing, automatic repetition counting, a race-time predictor and a recovery advisor. Upon opening the package, I was impressed with the slick charging apparatus/case, yet overwhelmed with a bunch of tiny ear plugs and wings. However, this was a one-time thing and allowed me to try out many different sizes so that the ear bud fits and stays in my ear, especially if I'm going to be jumping around. Admittedly, it took me a while to figure out how everything fits together and fit well in my ear, but once I got that, I could jump and run around with no issues. I downloaded the app and entered a few stats on myself.﻿ (age, weight, gender). There was then a test screen that asked me to run/jump for a few seconds to make sure the right ear bud was picking up a heart-rate. 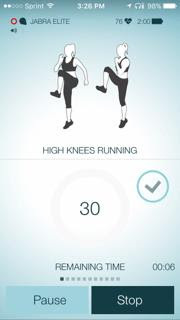 The app has an Activity screen where you can select a workout such as running and walking, and it even includes built-in workouts! These built-in workouts talk to you through the headphones and provide music (though you can also play your own). There are also several coaching programs such as pace and heart-rate targeting that also guide you via in-ear instructions! Speaking of music, the sound quality is great! 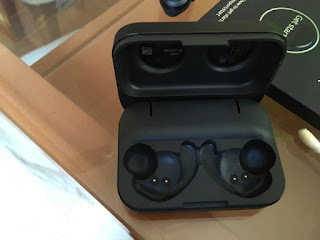 Compared to other wireless Bluetooth headphones I've used, I feel like the sound is very clear. There are volume control and selection buttons on the buds, which you can use to answer your phone calls. As for the heart-rate sensor, I feel that it was pretty accurate, since I am used to seeing what my Apple Watch registers. 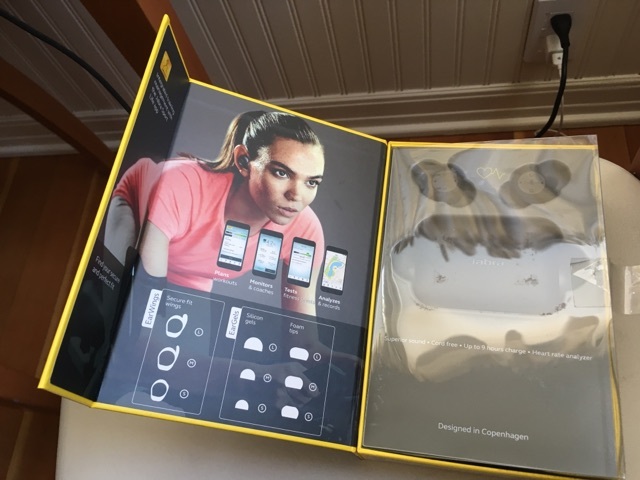 This is a great alternative to wearing a separate heart-rate monitor! I'm really looking forward to using these headphones more, as I do a lot of workouts off my cell phone in situations where I don't want sound to be coming out. 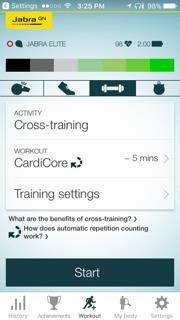 Having the portable workouts is even better, and it will even sync up with some other apps such as RunKeeper. FTC Disclaimer: I was sent a sample of Jabra Elite Sport headphones but was not otherwise compensated to provide a positive review. 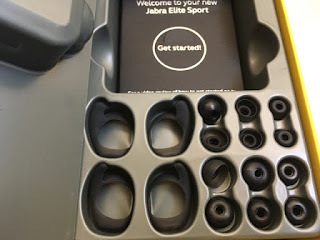 Jabra Elite Sport remote earbuds highlight sound quality for music and calls and propelled remote network to guarantee genuine execution.Our natural string free outline incorporates two mouthpieces in each bud that cooperate.it also custom paper writing services more configuration include in that service. Although you cannot always get a guarantee that something will not go wrong the more attention you give to your good airsoft sniper rifles before a game the less worrying you will have to do.